A child’s grip on a pencil starts out loose, like their understanding of cultures and worlds beyond their own. As they master holding the pencil, drawing basic shapes, and later letters, more and more of the unknown comes into focus. They begin to recognize the semi-circular shape of an Iranian mosque’s dome. They are familiarized with the square shape of mosaic tiles in Roman churches. The muscles in their hands know what it’s like to write out characters, the same ones that Shakespeare used to assemble his sonnets. Via these examples, we see how motor skills underlie art, which is a vehicle of cultural exchange. While we at Little Pim often emphasize learning languages as a means of cultural exposure, we want to use this post to highlight learning motor skills as a perfect time to introduce your children to different cultures through art. Accordingly, below is a list of artists from around the world who can inspire activities that will reinforce your children’s motor skills, cultural awareness, and familiarity with art as a tool of self and cultural expression. A child just learning motor skills requires a great deal of concentration just to bring these simple shapes to life. Resultantly, they have a heightened appreciation for them, an appreciation that Mondrian relearned. Your child might thereby be able to relate to an important figure in Dutch culture. Ask your children to draw 10 dots at random locations on a piece of paper. Then, have them connect one dot to each of the others on the paper with straight lines. (Use a ruler if straight lines are difficult for them.) Repeat for the other 9 dots. The result is a very cool geometric pattern. Take out primary color markers, colored pencils, or crayons and have them fill in the shapes as they see fit. With that, you have a Mondrian inspired piece ready to be hung on the fridge. The fun, quirky nature of these pieces will appeal to your child’s innate happiness and creativity. Let their curiosity take over upon asking what the sculpture below on the left represents. Break out the colorful Playdough for this activity! 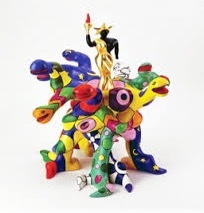 Show your child images of Niki de Saint Phalle’s sculptures and let the fun ensue. You can suggest rolling out small segments of different colored dough and connecting them to make a multi-colored snake, which is what I see in the sculpture on the left. The abstraction of Miró’s pieces reinforce to your children that there is no such thing as perfection, especially in art. It is all about personal perspective and emotions. Encourage them to make “mistakes” and try something wacky in their own pieces. Grab a few hangers from the closet, thread/yarn from the sewing kit, scissors, and construction paper. You now have all the tools necessary to make your very own mobile, like the one above on the right, perfect for a younger sibling’s room. Snip the hook off of a hanger; that is how you will be able to hang the mobile. Then, cut a few straight pieces of wire from several hangers. Twist them to attach them to the hook. Splay them out in different directions. Afterwards, cut some pieces of thread/yarn and knot them onto the end of the wires. Go crazy cutting out awesome shapes from the colorful construction paper. Pierce a hole and knot the other ends of the threads into the construction paper cutouts. Boom! Your very own Miró inspired mobile! While less child-like in its appearance than the works of the aforementioned artists, Guangyi is unfiltered and unapologetic for his opinions in his art, just as a child is before he or she is molded to fit into a society that values conformity. Let your children make a statement with this next piece of art. Suggest to your children that they draw how they feel about their least favorite food. See how their emotions translate into art. Girls' Day or "Hinamatsuri" in Japan is celebrated annually on March 3rd for the health and wellbeing of young girls. This special day is also known as "Doll's Day" as families who have girls display ornate dolls (hina dolls or hina-ningyō) atop a 7-tiered platform covered with red carpet starting in February until March 3rd. Each step represents a layer of society from the Heian period in Japan. The dolls are traditionally dressed in court attire according to the period and represent the Japanese Emperor, Empress, attendants, and musicians. In many cases, these dolls are passed down for generations from a grandmother to mother to daughter. The origin of this festival dates back to over 1,000 years ago during the Heian period (794-1192). pink color. For fun recipes to celebrate Girls' Day at home, check out this post from Just One Cookbook. The website features recipes for the special foods prepared for the festival, such as chirashi sushi, clam soup, and strawberry daifuku. 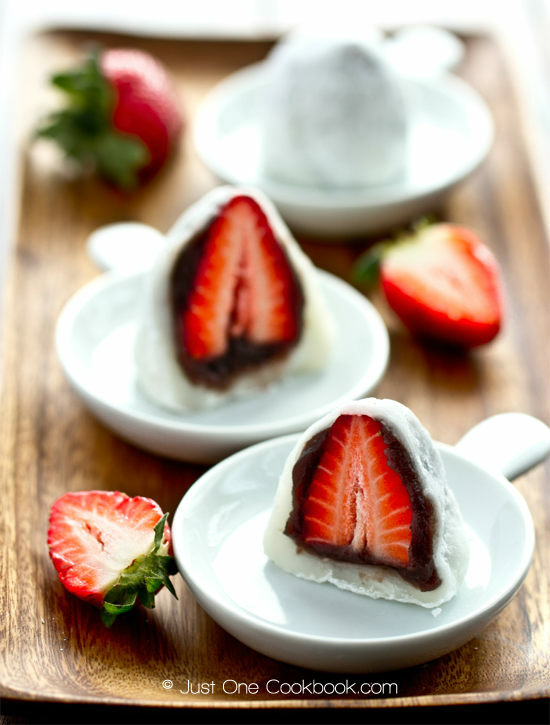 The strawberry daifuku sounds delicious, especially for those with a sweet-tooth and a perfect recipe to celebrate springtime! Other fun activities to do with your kids to celebrate and learn about Girls' Day are origami crafts. Follow the steps on this website to create your own Origami Kusudama Flower or watch this YouTube video below to create your own Girls' Day origami dolls! Have fun introducing your little ones to world cultures and celebrations! If you're celebrating today, share your creations with us using the hashtag #littlepim on Instagram, Twitter or tag us on Facebook. Thanks for reading! Teaching your child Japanese? Little Pim's Japanese Complete Set opens the door to over 180 basic words and phrases. Today is International Mother Language Day which is a day proclaimed by UNESCO to celebrate the languages spoken around the world and to promote cultural diversity and multilingualism. IMLD honors the day in 1952 when “language martyr” students demonstrated for recognition of their language, Bangla, as one of the two national languages of what is now Bangladesh. Celebrate this special day with your little ones by attending local multicultural festivals or by bringing language learning into your home with Little Pim. Now you can stream Little Pim on Hulu and Roku or you can instantly download your choice of our 12 languages for kids on our website. At Little Pim, we believe that all children deserve to learn a second language. Our program makes learning a foreign language easy and accessible to all kids–at the age they learn best, from 0 to 6 years. Our videos, books, flashcards, and CDs keep kids entertained while inspiring in them a lifelong love of language learning. We live in an increasingly global world – one where bilingualism carries many benefits. Research shows that bilinguals, especially those who have learned a second language before age six, demonstrate superior reading and writing skills, as well as advanced analytical and social skills. Bilingualism has also been shown to improve vocabulary in a child’s native tongue. 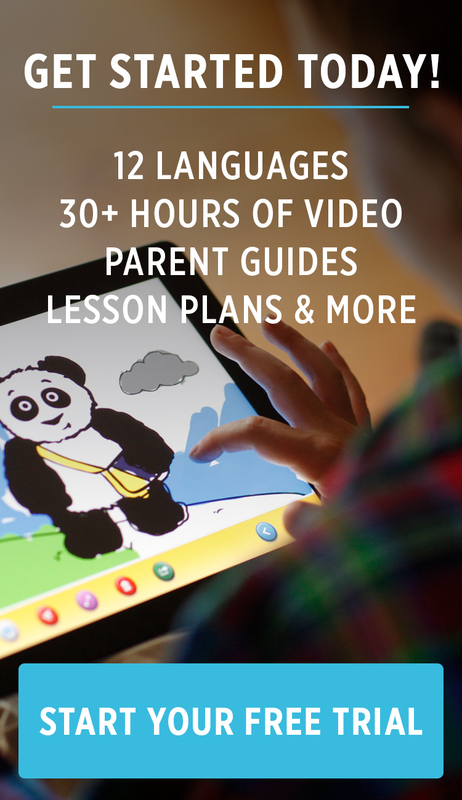 Learning a foreign language can open a whole new world up for your child. Little Pim gives children the ticket to this world–by making it fun and easy for kids to learn a second language.